That is sort of the point of Virtual folders, they no longer show in attachments, they are represented in the Plex. You may also try saving web pages as a webarchive (.mht) file, or print to .pdf so it doesn't create folders. 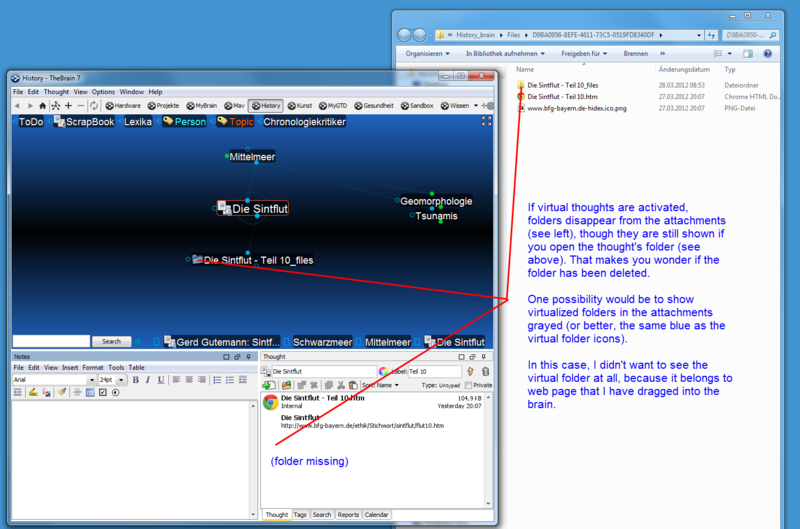 Well, by looking at the plex, I no longer can tell if the virtual folder is inside the brain or not (this I learn only from the attachments. This is not totally unimportant, because you can't tell if they the folder is saved in backup or not.